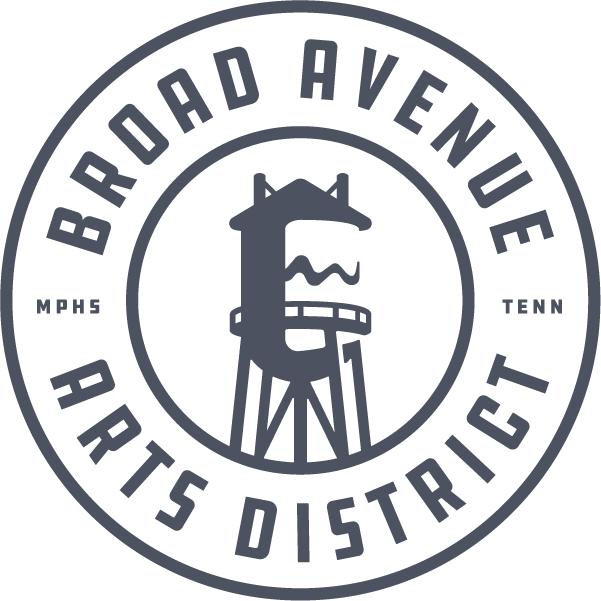 Artists and Creatives Call: Broad Avenue's Spring Art Walk is set for Saturday, April 14, 10a - 6p. If you are interested in exhibiting at the artists' market, please apply by March 10. Limited space. All entrants will be pre-screened. Like Railgarten, a restaurant under construction on Broad Avenue plans to use metal shipping containers in its design. And like Railgarten, The Liquor Store — we'll explain the name later — has geographic, historical and practical reasons to incorporate rail vessels into its site plan. But unlike Railgarten, The Liquor Store's developers sought and received permission before putting the containers in place. The Board of Adjustment last week approved allowing the diner to put two shipping containers behind its building. They'll sit in an L-shaped configuration to help form a courtyard and provide space for storage and kitchen prep. At the same meeting, the Board of Adjustment declined to retroactively approve Railgarten's metal containers, letting stand for at least another 30 days Code Enforcement's "Do Not Occupy'' order for parts of Railgarten that include also a container-lined backyard. The Liquor Store owner Lisa Toro plans a much cleaner opening when renovation for her new diner is complete by August. There's no avoiding Lisa Toro on Broad Avenue. Two years ago, she and her husband Luis Toro opened City & State, the combination artisan store and coffee shop, at the corner of Broad and Collins. Now they're staking the other corner — Broad at Maris — of the same block by converting the long-vacant Broad St. Liquor store into a three-meal-a-day diner. The 67-year-old building is small — 1,382 square feet — but features such architectural detailing as a set of small, ornate windows, a roof line edged in terracotta, and neon "liquor'' signs so classic that they are inspiring the unusual name for an eatery. "We really wanted to pay homage to the building and what the neighborhood knows of the building and what the neighborhood references the building as, which has always been 'the liquor store,'" Toro said. The old signs reflect the old Broad Avenue business district, she said, so they embraced them and the name. "We had fun with it. We want to play on it. It's 'Where do you want to go for breakfast? I want to go to The Liquor Store. Where do you want to meet for lunch? Let's go to The Liquor Store'. The food will be fun, as well as straightforward, too, Toro said. The iconic liquor store building on Broad Avenue is getting a new look and a new use as a restaurant thanks to entrepreneurs Lisa and Luis Toro, owners of City & State coffee shop and fair trade retail outlet. The Toros' shop opened a couple of blocks to the west of the liquor store two years ago. The couple have just begun renovation work on the property, and they hope to have the new restaurant open by early August. Aptly named The Liquor Store, the restaurant will serve breakfast, lunch and dinner. It will fittingly feature a full bar. “The idea being a fresh and fun play on traditional diner foods, so nothing to foreign or too crazy, just delicious stuff,” Lisa Toro said. The building’s previous tenant used the 1,400-square-foot space for office purposes, and when the building became available the Toros jumped at the opportunity. “We were just determined because this is such a great building. So many people know it who come along Broad,” said Toro, who sees the property as a connector between Wiseacre Brewing Company to the east and Broad Avenue’s retail and other commercial development to the west. She points out that the only food options currently on Broad are City & State for breakfast, Broadway Pizza for lunch and Maximo’s, The Cove, and Bounty for dinner. The Toros and Natalie Lieberman designed the interior. The trio runs their own consulting firm, Bending Neon, and are responsible for designing City & State, the Bikesmith and other businesses around town. “So we’re excited to bring this space to life and create a brand around the Liquor Store,” said Toro, who previously worked as the senior director of digital brand marketing for Hilton Worldwide. Her husband also works for Hilton. Plans call for utilizing the building’s unique liquor store neon signage that remains from when it was an actual liquor store nearly a decade ago. “We’re keeping all of the existing signage and helping to refurbish and restore some of it,” said Toro. Interior improvements will include replacing the HVAC system, installing a venta-hood, adding bathrooms, and extensive electrical work, wiring, and painting. JLC Enterprises is the general contractor. The Toros also just received approval to use two railway shipping containers, one 40-feet long and one 20-feet long, to extend the length of the building in the back and to help form a festive outdoor dining area. “The containers are going to house our prep kitchen, our walk-in, and some storage as well as help us create a courtyard on this massive lot,” said Toro, who estimates the overall cost of renovations and opening costs at close to $400,000. Jim Steffen is pedaling harder this year. The proprietor of The Bikesmith – an operation that includes a truck that doubles as a mobile bike shop and a retail presence inside a converted auto garage at 509 N. Hollywood St. – is making good on his ambition to do more this year. Starting May 5, Bikesmith proprietor Jim Steffen plans to start parking his bike truck at Crosstown Concourse so that residents and workers there can get their bikes repaired. That includes taking his truck to new spots around the city to offer his repair services. Starting May 5, Steffen plans to park his mobile bike shop at Crosstown Concourse so Crosstown residents and workers can get their bikes repaired. Steffen also will be letting Crosstown customers order bikes and accessories from his shop in the Broad Avenue Arts District and get those purchases delivered right to them. “We’re going to start out going down on Friday afternoons once a week and providing service to folks who live and work there, including visitors in the area,” Steffen said. “The initial thought was to provide bike maintenance service, but they can also order helmets or parts or buy bikes from us and get them delivered. The Bikesmith plans to host more events at its Broad Avenue-area shop this year, with more pump track parties through the summer and fall, in addition to more race events, music shows and more. The Bikesmith for a few years now has been at the vanguard of a movement in Memphis around biking, the fruits of which include everything from the launch of bike shops like Steffen’s to the spread of bike lanes, festivals, riding groups and more. To supporters, the expansion of that culture around the city is an indication that more Memphians are coming to realize being a bike friendly community carries abundant benefits. That’s according to Kerry Hayes, principal of Key Public Strategies and a longtime cycling advocate, who said those benefits include improving health, wellness and safety in addition to bolstering tourism and economic development in neighborhoods around the city. As for Steffen’s shop, it spent last year hosting pump-track happy hours, race events, a gathering of the local Undercurrent organization and more. The pump track is a special track outside the shop on which bicyclists don’t have to pedal when they’re zipping around on it. Steffen plans to shift things into a higher gear this year, with more pump-track parties through the summer and fall, in addition to more race events, music shows and more. The bikes are the reason he runs the shop in the first place. But along the way, he decided to try and make it something more – a community gathering spot, a way of using the bikes to bring people together. With nearly 20 nationalities calling Binghampton home, the neighborhood possibly is the most culturally diverse in Memphis. Ibtisam Salih, a refugee from Sudan, runs Ibti’s Soup & Catering and will participate in the Kaleidoscope Food Festival in Binghampton. That diversity will be celebrated Saturday, April 15, at Wiseacre Brewing Co. with Kaleidoscope, a multicultural food festival that will present a variety of food entrepreneurs serving up unique goodness from their homes. The food festival is the culmination of work over the past year to support refugee and immigrant food entrepreneurs in the Binghampton community. The work to support refugees is thanks to a planning grant from The Kresge Foundation for its Fresh, Local & Equitable (FreshLo) initiative. The Binghampton Development Corp., with support from Little Bird Innovation, responded to an open call for grant applications. Memphis was one of more than 500 applicants and one of 26 chosen last spring. The grant covers projects that combine food, culture, art and place-making. The event will feature seven food entrepreneurs who are from or reside in Binghampton. Barry Lichterman’s Mobile Merchant food truck business will donate trucks for use by the entrepreneurs, who will set up six food stations around the Wiseacre grounds. The brewery will have beer pairing suggestions for all the food items, and there will be a variety of other activities and multicultural vendors. The event is free to attend. Attendees will buy $2 tickets for currency to buy food from the various vendors. Indra Sunuwar, who lived as a refugee in Nepal for 16 years with her Bhutanese family and has been in Memphis since 2009. She will prepare traditional Nepali dumplings. Ibtisam Salih, who escaped Sudan and resettled in Memphis in 1999 with her family. She is known for her popular soups she formerly prepared while running the Caritas Village kitchen. She runs Ibti’s Soup & Catering that offers a wide range of food, but she’ll focus on traditional Sudanese soups at Kaleidoscope. Flora Elisa and CC Deng dream of creating their own catering business. Elisa is from Sudan and spent time in a refugee camp in Kenya before resettling in Memphis. Deng grew up in Kenya and moved to the U.S. with her diplomat father. She now works as a microbiologist, but also wants to create a catering business with her friend. Dewayne “D.J.” Johnson grew up in Binghampton and today is known for his Summer Avenue business, D.J.’s Custom Welding & Design where he creates barbecue grills among other items. He also operates D.J.’s Food Truck there that offers a variety of smoked meats and tamales. Raffe Sakan is from Syria. She moved to Memphis after visiting her brothers who were studying here in 1990. She formerly ran Raffe’s Deli on Poplar Avenue, but today sells her Mediterranean cuisine at markets. She envisions opening a restaurant that would feature falafel and other traditional Syrian foods, possibly in the Broad Avenue Arts District. Latonya Hunt is from the Binghampton community where she works as the community garden coordinator at Carpenter Art Garden. She one day wants to operate a food truck that focuses on healthier versions of soul food classics. After spending the first 16 years of her life in a refugee camp, coming to Memphis to finish high school was a culture shock for Sunuwar. Now 21, she wants to bring some of her family’s Bhutanese culture to Memphis with a restaurant she hopes can also provide quality employment for her family. Over the past several months, Little Bird and the Binghampton Development Corp. have gotten to know various food entrepreneurs who work in and around the neighborhood to better understand the specific needs among those who want to start a food business. Little Bird’s team conducted research to better understand Binghampton and the refugee experience in Memphis. Organizations interviewed included the Broad Avenue Arts District, Caritas Village, Centro Cultural, Community Lift, Refugee Empowerment Program and World Relief Memphis. That research led to the Caritas on Broad food pop-up event held at the Broad Avenue Art Walk in early November. It featured several aspiring food entrepreneurs from Binghampton’s refugee community. Some already had business plans of a sort in place; others were just testing out what was possible. Many of those entrepreneurs will participate in the Kaleidoscope festival.